Established in the year 1995, we have established ourselves as a prominent firm, which offers Printing Services to the clients. 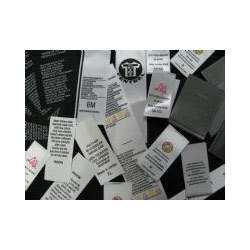 The range of services offered by us includes UV Printing Services, Offset Printing Services, Heat Transfer Printing On Garments, Bar Code Label Printing Services & Printed Labels. These services are rendered by a team of proficient professionals, which holds an immense experience in this domain. In order to offer flawless range of services to the clients, we employ various machines in our printing process such as screen printing machine, offset printing machine & flat bed printing machines. We follow a client centric approach and hence, pay an utmost attention towards delivering a flawless range of services to the clients. Our team of professionals holds an immense experience in this domain, which helps them in delivering a superior quality range of services to the clients. They make sure that the prints on the surfaces are accurate and have smooth finish. Clients are offered attractive designs and prints as per their requirements. Further, we deliver our services at cost effective prices, keeping in mind the budgetary constraints of our clients. Owing to our ethical business policies and fair dealings, we have been able to form a huge client base in the domestic market.